Clueless to what Microsoft is doing then. They introduced their Surface tablets and Surface Pro tablets last year without any LTE or 3G add-on. Last night they also introduced their new generation of their Surface and Surface Tablets as well, but it still no 3G or LTE included. What are they doing? Where are they marketed these tablets? Are they targeted for all PC users? Are they targeted for just developed countries like USA, UK? Asian countries need 3G devices and i am sure that if USA or UK businessmen come to work in Asia countries, will also need 3G while they traveling or they’ll missed their work. WPCentral posted that, Surface 2 and Surface Pro 2 will come with LTE in early next year. Is that make any sense while the Apple always comes with both WiFi and LTE version with just a few weeks after they introduced. Do you think that Surface 2, Surface Pro 2 will help Microsoft to gain some market share? I don’t think it would help. After nearly a year of marketed Surface and Surface Pro, Microsoft today has introduced to the world its 2nd Generation of these tablet line with tons of upgrade both in terms of performance, hardware and software. Surface 2 will still come with Windows RT 8.1 with full Offce RT offers that including Outlook apps. This tablet is the mid-range tablet from Microsoft targeted for end users who need more mobility tablet with more productivity on-the-go. Speaking of hardware upgrade, Surface 2 will comes with new Nvidia Tegra 4 SoC with 4GB of RAM, Full HD screen, 32GB/64GB internal storage with 200GB SkyDrive cloud storage as default and with new design kickstand that allow you to view in 55 degree angle. Last but not least, Surface 2 will also come with USB3.0 which will allow you to backup, transfer large files with 10x faster compare to USB2.0. Surface 2 will come with $449 without Type or Touch Cover included. Surface Pro 2 with start with $899 without Type or Touch Cover include. The first generation of Surface Pro and Surface RT was a painful experience for Microsoft with nearly $1 billion lost, so let’s see how will these 2nd generation will help Microsoft gain the share from Apple iPad product lines? Why Many Companies Are Interest Vietnam than Cambodia? Business interesting for Cambodia has been improved year by year. Many companies are building their infrastructures in Cambodia lately and many more are looking forward to run their businesses in this little country as well. Speaking of interesting of the business, I’ve seen many Japanese technology companies such as Panasonic, Sony, Intel, Samsung and many more running their business in Vietnam and the flow of those are getting more and more, but not Cambodia. So, why not Cambodia? The workforce is cheaper than Vietnam, many lands are waiting for rent, houses also cheaper and everything might be cheaper than in Vietnam, but yet they still choose Vietnamese as their first place of choice. So what is happening to them? Is it from them or from us (Cambodia)? Cambodia might have cheaper workforce, lands or whatever it might be, but corruption is the biggest reason that make they decided to move their target from Cambodia to Vietnam. In Cambodia, if you want to increase the speed of doing something such as business registration, or anything you might need to pay some extra-bills to some people that have power to help you and if you don’t, your registration might be take months of even years to be completed. The corruption is the most important that make they change their decision. Political stability: This might be very sensitive issue. Cambodia will have a national election in every 5 years period and once it comes, something bad will happen too. Truly speaking, currently, Cambodia is facing that issue with no way out. Every political parties claim that they have won the election and they will fight with each to take that PM’s desk and that can cause the big issue for business. Recently, there were so many third-party agencies ran their pilot observation they came to a conclusion that, with just one month after the national election in July, the business interest in Cambodia has dropped down 48% in total. That’s mean a lot to any businessman. Maturity of Cambodia business development: Cambodia has gone through so many problem. Civil war(1975-1979), post-Khmer-rough era (1993-1997). That problems are still begin until today. Cambodian government are very young in term of making interest to the business, market-partnership with another countries, security in business so on so forth. That’s why many companies will have to think twice about running their business in Cambodia. They would rather spend a little bit more to the workforce in Vietnam or Thailand than taking high risk in Cambodia. I don’t know if it right or wrong, this might need a very concrete observation or even have a very clear research. I hope and wish that this little country will get pass the hardest time to really grow its business forward. People has developed and used vaccines more than 50 years already. There are more than 10 vaccines available in the market to help protect both infants and adults people. Most vaccines are produced to target infants and children because protecting infants and children might give more effectiveness in terms of social impact and healthcare impact. Just a few vaccines that targeted for adult population. Vaccines has been accepted widely around the world, especially in developed countries such as United States, UK, France,… So, how about vaccine acceptance in Cambodia? Vaccination is injecting viruses or at least some part of viruses or bacteria into healthy people. In Cambodia, vaccines has been introduce in 1995, during UNTAC era. But at that time, only hepatitis B vaccine that introduced. Until now, the mindset and the perspectives of Cambodian people about vaccines are still just a strange-thing-to-be-accept. It is very hard, really hard to convince Cambodian people to get themselves or their children to get vaccinated. Currently Cambodian people are so deeply believes on National Immunization Program’s vaccines that are good, safe and ENOUGH. While all children or people in developed countries are enjoying the benefits of getting vaccinated from new vaccines, Cambodian people are too happy with more 20-year old vaccines such as BCG, whole-cell pertussis, diphtheria, and oral polio vaccines. These vaccines has been introduced since I was not yet born. Many severe adverse reaction has been reported from these vaccines but yet we still happy to get it even if we can afford the better one. Speaking about new vaccines introducing, the tough-decision from MoH is just so difficult to engage while they don’t understand about some new concepts. They don’t even know what is disease awareness activities. I was quite surprise while they said that disease awareness is considered as product promote. Here are some example of immunization schedule in some neighborhood countries (Thailand) and the United States. This example just to give you more view of where are we now in terms of protection against preventable disease compare to them. Now you can can see the differences between our current immunization schedule to the others countries both developed and developing countries. Vietnam is still better than us and yet we complain about them. We cannot even compare to Thailand Immunization schedule. I hope to see a very busy immunization schedule in the next 4 or 5 years so that more Cambodian children will get protected from vaccine-preventable diseases. I hope and wish that next Cambodia’s PM will put “introduce new vaccines ton EPI programme” as part of their politic strategies, not just purely thinking of how to get the PM’s desk. This is just my own observation and view. I didn’t mean to fight against anyone or any purpose to create any conflicts. The Future of Cambodian Children is in our hands, your hands. So do not let any Cambodian children get infected by vaccine-preventable diseases. Get them vaccinated!! Why Kunthabopha Hospital Operates by A Foreigner Doctor? Kunthabopha Hospital is the only pediatric hospital in Cambodia which treat Cambodian children without charge any cost, not even for medicine. I am not sure when did this hospital established, but since I was born until now, I only know that this hospital operates by a Swiss pediatrician, Dr. Beat Richner. Dr. Beat Richner has been working at Kunthabopha for many decades. His first started as a pediatrician in 1973 and sent to work at Kunthabophay by Swiss Red Cross. Until now, he’s still working here and he’s the only person who really put his heart to help Cambodian children who suffered from illness. After the Khmer Rough, Kunthabopha has treated Cambodian children for more than 10 million children and 85% of Cambodian children who got sick. Currently, Kunthabopha hospital spend US$120, 000 everyday for treating children without any benefit, Dr. Beat Richner is the only person who find the fund. He used to organized many activities to raise the fund. Why should a foreign doctor put his heart on helping Cambodian children instead of Cambodian doctors/people? Why don’t any Cambodian people can help to raise the fund while they spend so much money on buying cars, houses, pretty girls or any funny stuffs? Those questions always appear in my head. There are a lot of companies in Cambodia. There are a lot of rich people here in Cambodia. Imagine if there are 5,000 rich people with annual income is $10,000, if they can just donate US$10 of their income per month, so the fund will be: 5,000 x $10 x 12 = $600,000 per year. This could be enough to help cure Cambodian children without any worries then. Imagine if they can donate more, I think Cambodian children will much better. Please everyone, please take a look at this certain level of our beloved children then. Which Job Is The Hardest Job in Cambodia? Just reading through my topic, I think you guys will understand what will happen in this topic then. I’ve been working in this current job for 4 years already. There are so many things just happened both joy and pain. But to my idea, there is only one job which it is very hard to deal with — Convincing or Representative. Since the beginning, convincing is the hardest job of all time. You try to convince people while they are just thinking about their own benefits and yet you discuss with them about society’s benefits. I don’t know whether is the same in other countries or not, but convince Cambodian doctors to really think about Cambodian’s people’s healthcare and the ethical as professional healthcare would never be easy. But there are also some healthcare professionals are thinking about their client’s benefits too, but very little. Once you ask them to think about it, they will ask you back what will they get from that? That’s a valid question, but they’re already forgot that their duty is to ensure that everyone is cured, healthy and no harm. Alright, that’s just my idea and my experience. It might different from your experiences or ideas. Let’s discuss on this. Currently, Cambodia is the one of the most attractive market for investors. Automobile, infrastructures, IT devices are the most attractive business categories to look for. IT devices or ICT is growing with the speed that we never imagine. It’s grows with the speed of light. Many phone shops, computer shops, many companies are running their business. 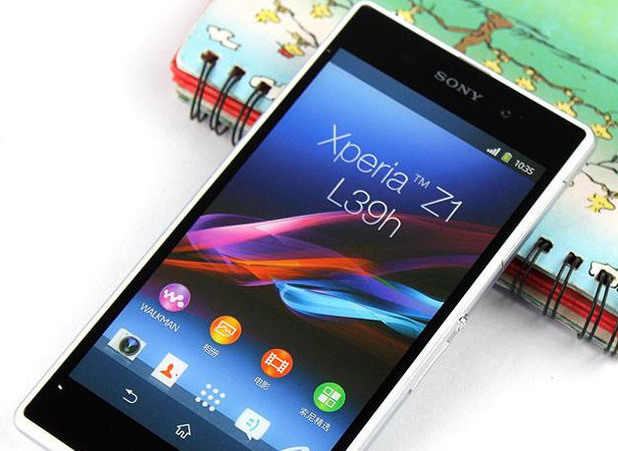 It is even more interesting when today, Sok Ly Phone Shop, a mobile phone retail, introduce Sony’s newest smartphone, Sony Experia Z1 on their website. This could be the first Sony Experia Z1 in Cambodia or maybe the first Sony Experia Z1 available for sales in Asia countries. Being the first phone shop to sales this device, the price is also the highest price ever. With US$880, it is seem that nearly acceded to Cambodia’s GDP (US$900). It is very experience that most of Cambodian people cannot afford, but still have some people will enough to spend those amount of money and get that phone. For more information about this phone, you can go to GSMArena or you can go to Sok Ly’s website.